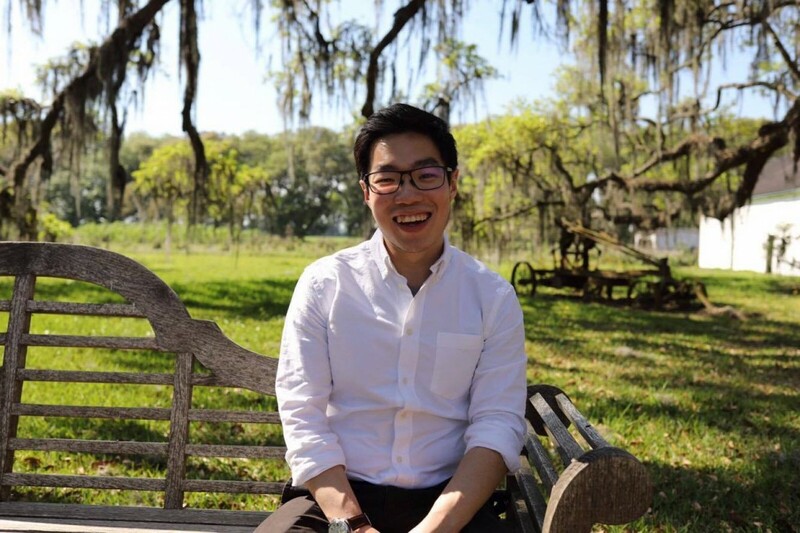 This quarter, the spotlight shines on MAR member Kevin Leong! Describe your career as a music therapist—education, populations served, etc. I have worked with various populations over of the course of my career as a music therapist so far. During my internship, I worked at the pediatric oncology unit at Massachusetts General Hospital. While pursuing my Masters, I had the privilege of piloting a program with Rosie’s Place x Berklee to help homeless/at-risk individuals at a women’s shelter. Currently, I work at A Place To Be, a music therapy center in Middleburg, Virginia. My weekly schedule consists of 17 private clients, 2 inpatient psychiatric groups, one day on the stroke unit at a regional hospital, and two social groups. I had formerly toured with A Will To Survive – a production by A Place To Be that aims to raise suicide awareness in and around Loudoun County. This opportunity eventually led us to perform at the Kennedy Center. What brought you to the field of music therapy or why did you decide to pursue music therapy as a profession? I think most of us who pursue music therapy have an innate understanding of music’s curative properties. I was curious to see how far we could harness it’s healing powers. I have certainly not been disappointed so far. What suggestions do you have for novice music therapists? Constantly cultivate and nurture the musician in you. The more fluent you are in music, the greater your reach. A skilled chef can identify new ways to cook better meals, an adept music therapist can find new ways to soothe the weary soul. I enjoy finding new music to use in sessions. My favorite songs include “Birds of a feather” by Vulfpeck, “Trusty and True” by Damien Rice and “In The Blood” by John Mayer. These aren’t just great songs to listen to, all of them have been stellar for lyric analysis within the adult inpatient psych setting as well. In short, do explore what is new out there, and what works for you and your client. What are some of your favorite resources (Websites, books, blogs, journals, etc.)? Dr. Gottfried Schlaug and his team produce marvelous studies on the effect of music and the brain. Dr. Nina Krauss and her counterparts constantly uncover how our brains perceive/process music. Looking for an awesome website where seasoned therapists talk about their work? This website features a list of videos that constantly informs, validates and nourishes my work. The best part – it’s free! Also, it’s categorized according to each respective population. Tell us about one of your most favorite moments of being a music therapist. There was a woman I met in the oncology unit. She seemed to be rather skeptical about music therapy; especially when you’re confronted by a man with a guitar at an unfamiliar hospital while you’re trying to fight for dear life., and she started to bawl her eyes out. At the end of the session, she thanked me for the music, for it allowed her to feel healthy again. There was a woman I met in the oncology unit, who seemed to be rather skeptical about music therapy. I don’t blame her, she was sitting alone in a dinghy, unfamiliar hospital room fighting for her life, when she was suddenly confronted by a man with a guitar. When I asked what song she’d like to hear, she said dismissively “any song will do.” I started playing “Lady In Red” by Chris De Burgh, a song I thought might spark thoughts of her teenage years. Gradually, she started to tear and soon she was crying profusely. “I don’t know why I am crying, I had not cried since I received my diagnosis”, she said softly. She shared that the music had bypassed her thinking mind, and had allowed her to feel what she needed. The music helped her feel whole, even just for a moment. Describe a challenge you have had in your career and what you did to overcome it. I was diagnosed with leukemia while pursuing my masters. The week prior to my diagnosis, we were having an in-depth look at the use of music therapy in oncology. I remember thinking to myself, “if only I knew what it feels like to be a cancer patient.” Unfortunately, I got more than I asked for. Now, almost 3 years later, I am finally in remission. However, I still take a daily dose of chemotherapy. Side effects include low blood count, a predisposition to infections, and ulcers. The largest toll might be the depression and isolation that comes from medical events and the ever present sense of fatigue. During the first few days of my diagnosis, I remember not knowing if I was going to live. I asked myself, as anyone in that situation naturally does, “what would I do if I had to relive my life once more?”. It was at that point that I realized I would still want to be a music therapist. It has been inexpressively helpful to know that I am practicing what I love. What goals do you have for the next few years? To help advocate for our field. I hope to accomplish this through the wonderful support of A Place To Be and MAR-AMTA. I’d like to see us expand internationally, and locally (in Virginia). Personally, I am always striving to be a better practitioner. Do you have hobbies outside of music? frequently too. It certainly helps to be located 30 minutes away from Shenandoah National Park and the Appalachian trail. Why are you a member of MAR-AMTA? We are stronger together! Beyond having a supportive network, it helps to have an organization that represents us on a national level. This is my first year as a MAR-AMTA member, having just moved here from New England. I am looking forward to forging new relationships and partnerships with all you wonderful folks. How has your experience as a cancer survivor informed your work as a music therapist? As outlined in Siddhartha Mukherjee’s Emperor of All Maladies, cancer patients are able to endure arduous trials, as long as they know what they are fighting, and what they are fighting for. Music gives me immense relief and meaning in life. As a cancer patient, I realized that I couldn’t see the point of going through painful treatments if I couldn’t experience moments of beauty within all the suffering. Music gives meaning and humanity to those who are in a very dark place. That it is what I strive to give my patients; a moment away from their nausea or pain, a moment of wholeness and wellness again. However, I will never disclose my condition in sessions, as therapy is never about the therapists, it is always about the clients. I am constantly reminded that cancer is such a varied disease, and that each patient is walking an entirely different path. Feel free to state anything else you would like us to know about you. I think that all you folks are doing an amazing job! Being a music therapist is not easy. If you are one, know that what you do really matters. May your day be bright and beautiful.